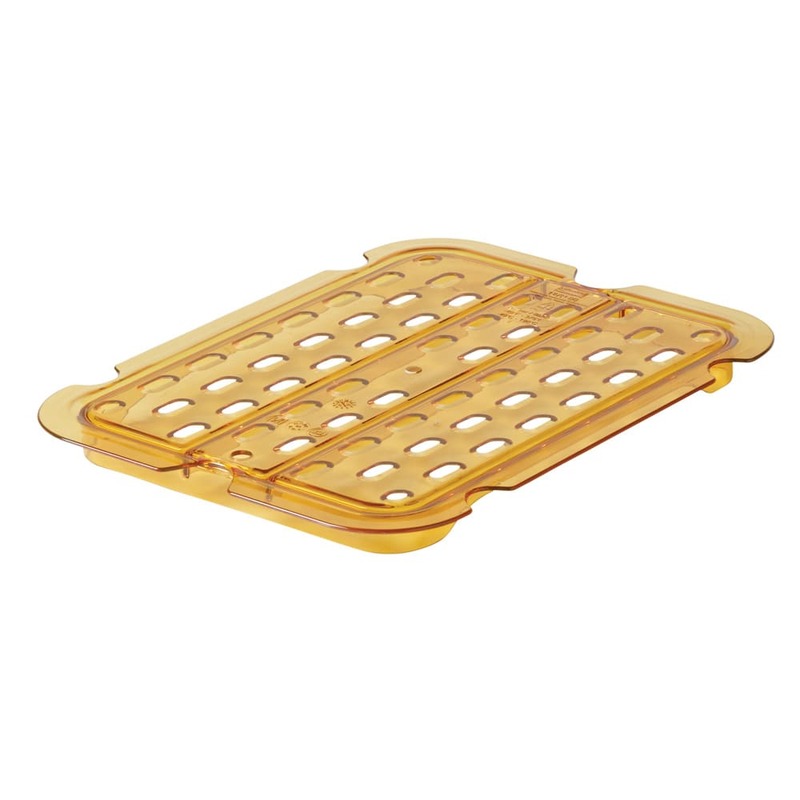 The Rubbermaid FG127P00AMBR half-size pan drain tray can be used in temperatures from -40 to 375 degrees Fahrenheit. It is safe in microwaves, ovens, and steam table wells. Unlike metal, this material does not get as hot to the touch. Made of amber polycarbonate, the pan is strong and rust resistant. Its non-stick surfaces simplify cleanup and is dishwasher safe.